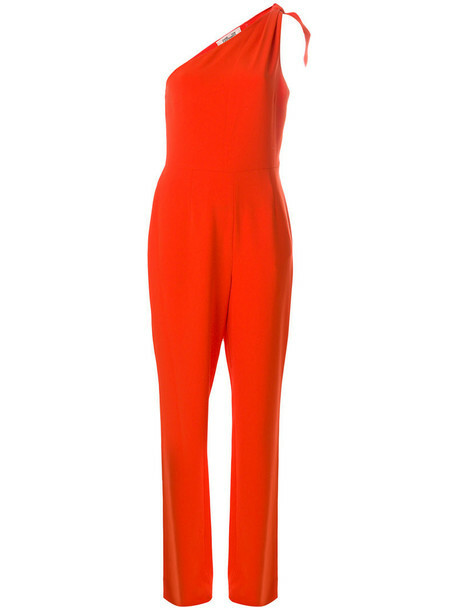 Bright red one shoulder jumpsuit from Dvf Diane Von Furstenberg featuring a one shoulder design, a knot detail, a fitted waist, a long length and a straight fit. This item is true to fit. Size: 2. Gender: Female. Material: Polyester/Triacetate.